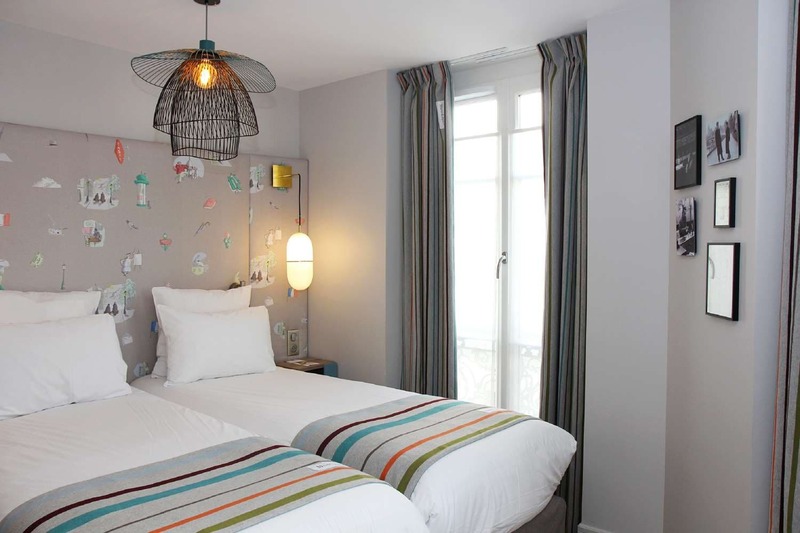 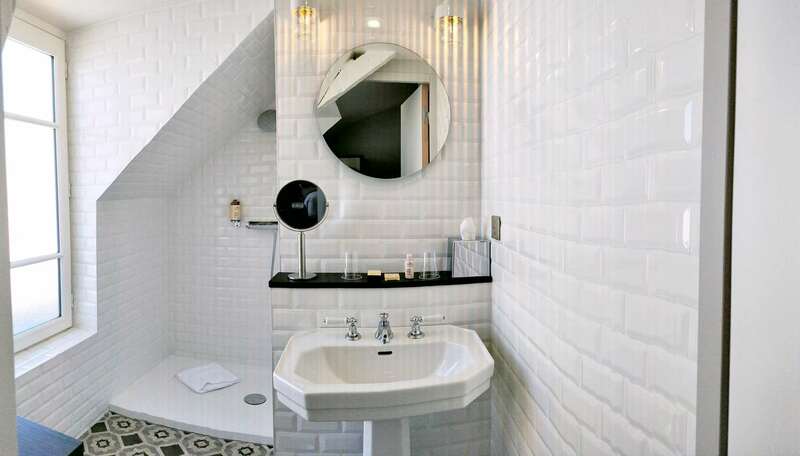 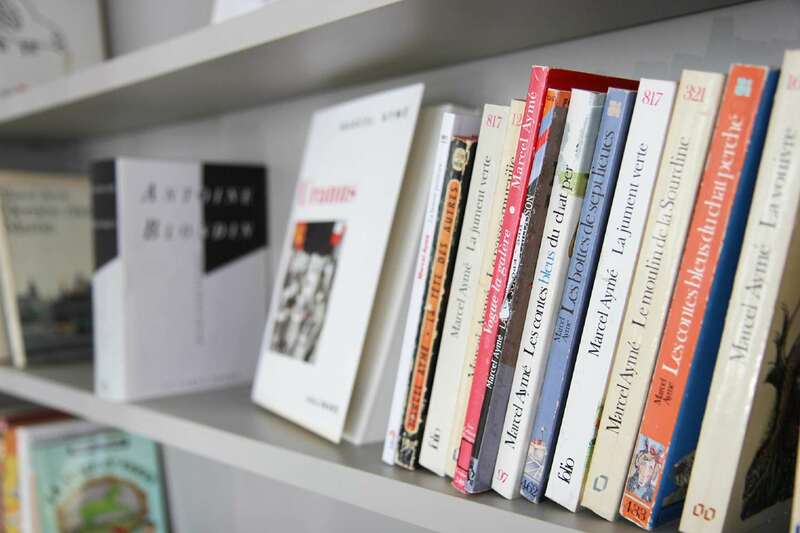 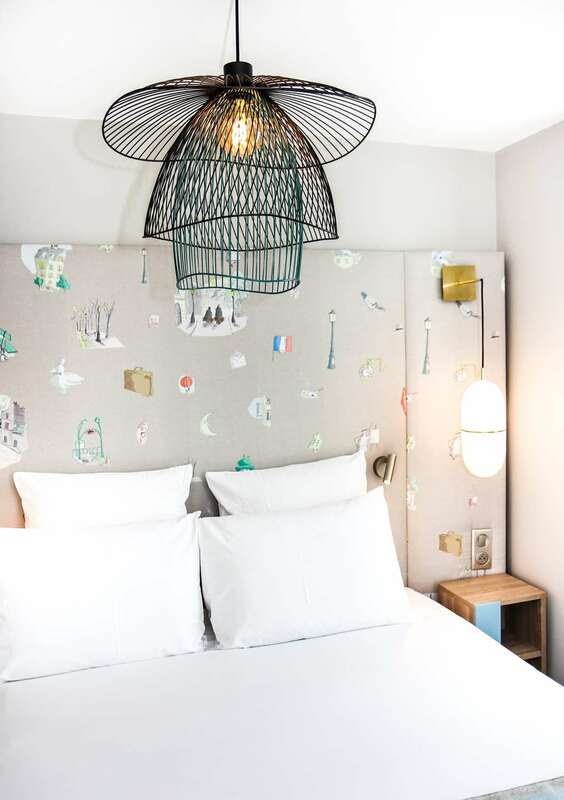 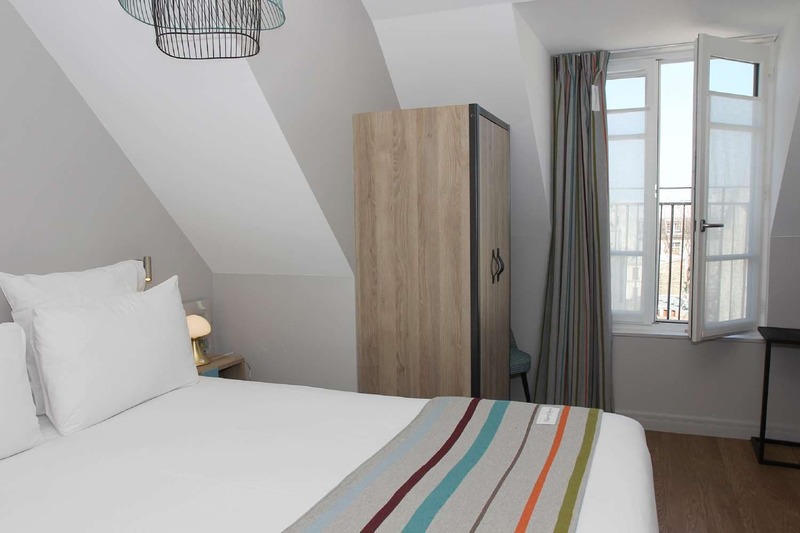 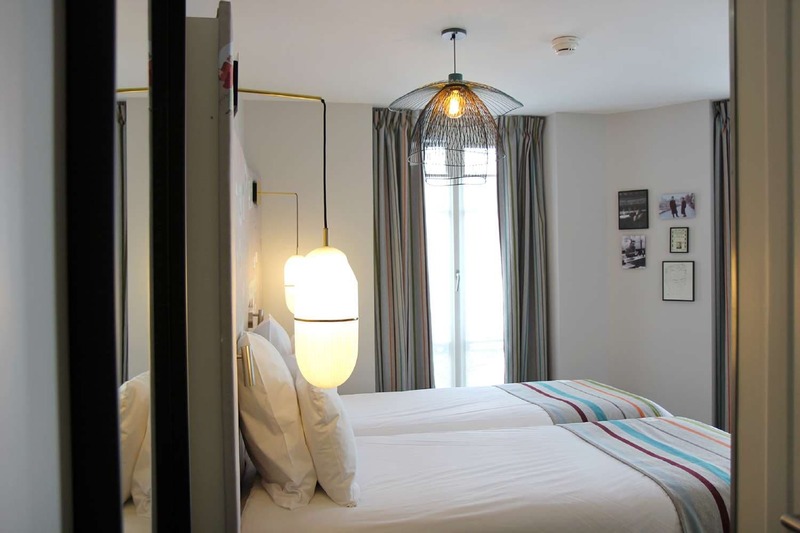 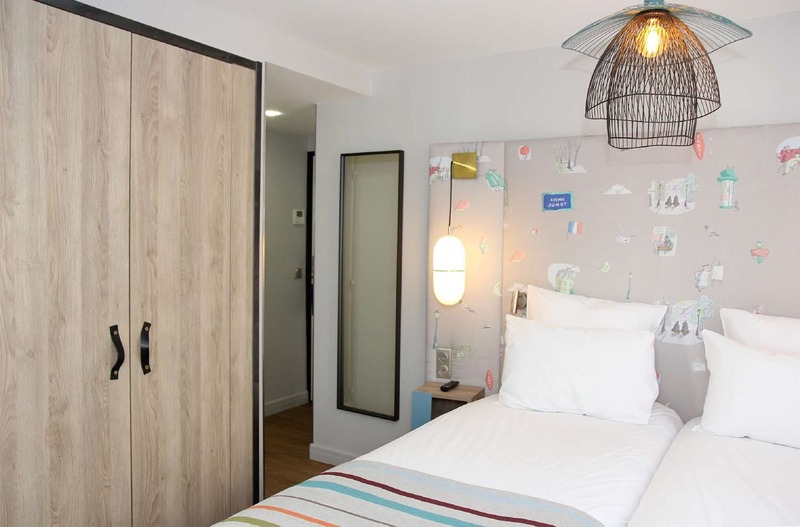 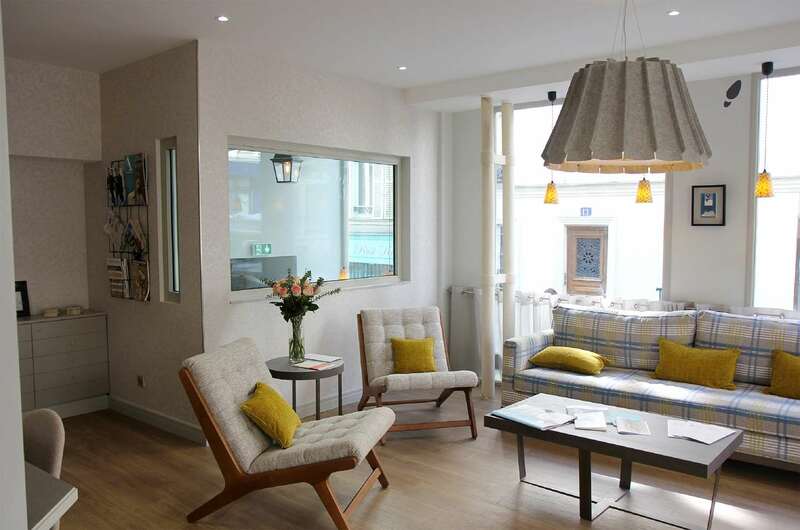 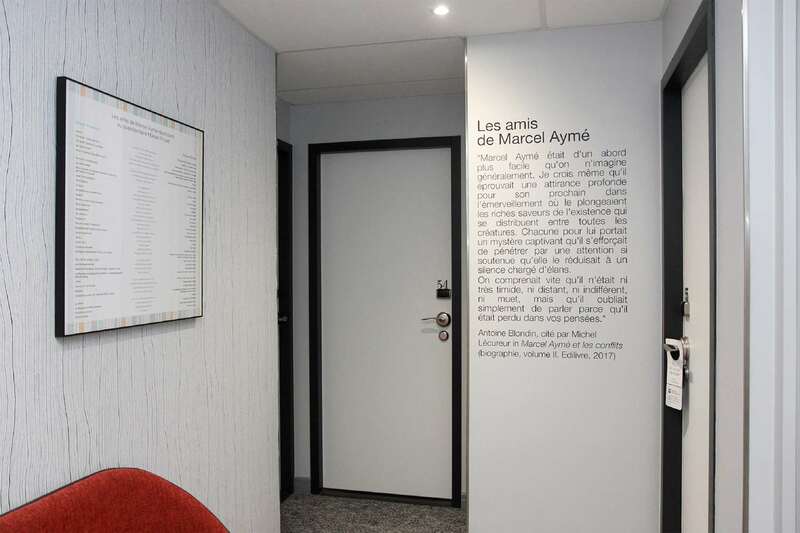 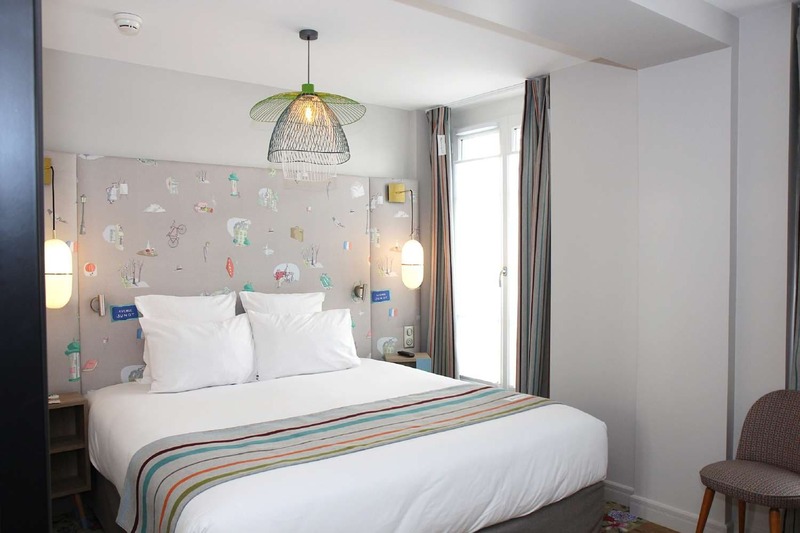 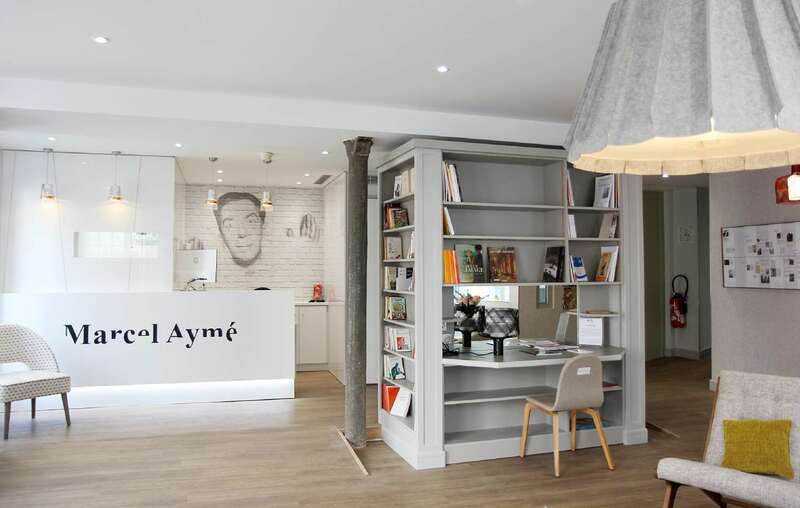 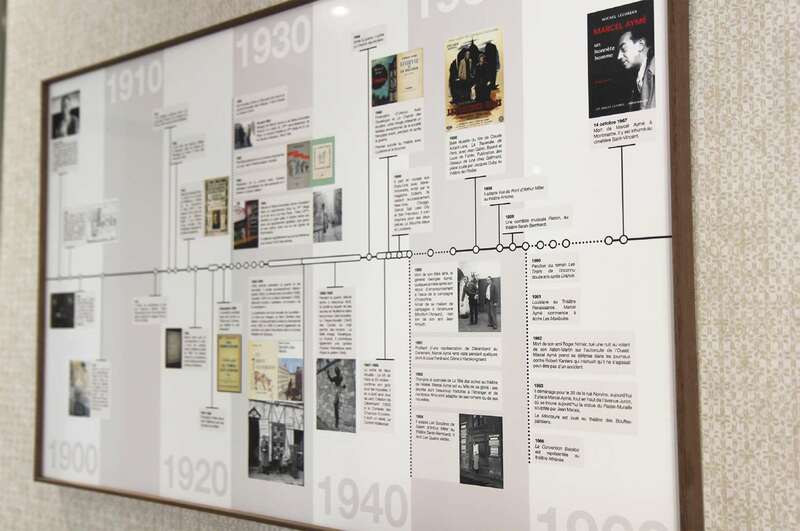 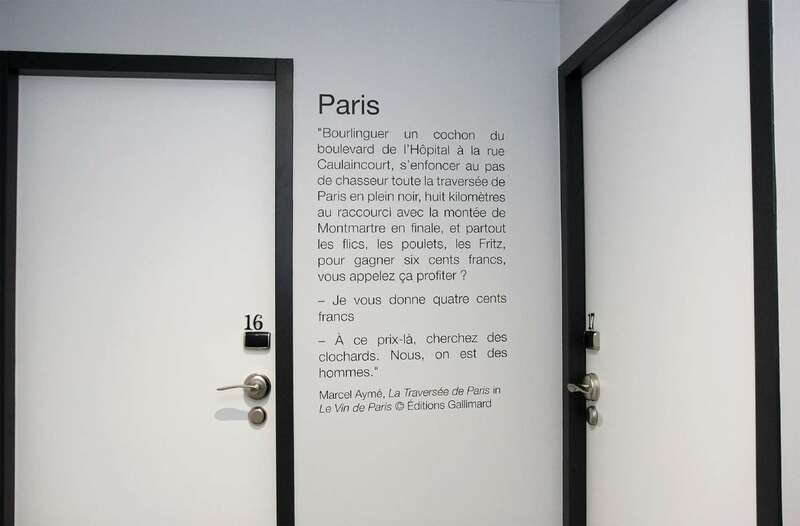 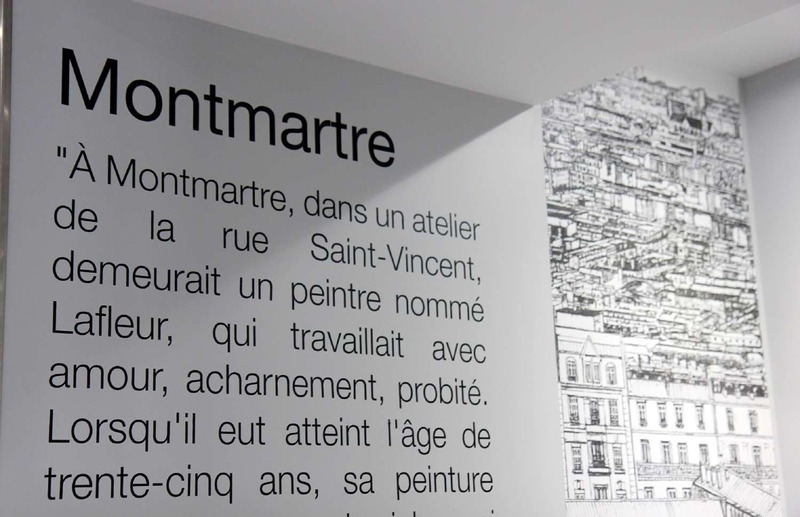 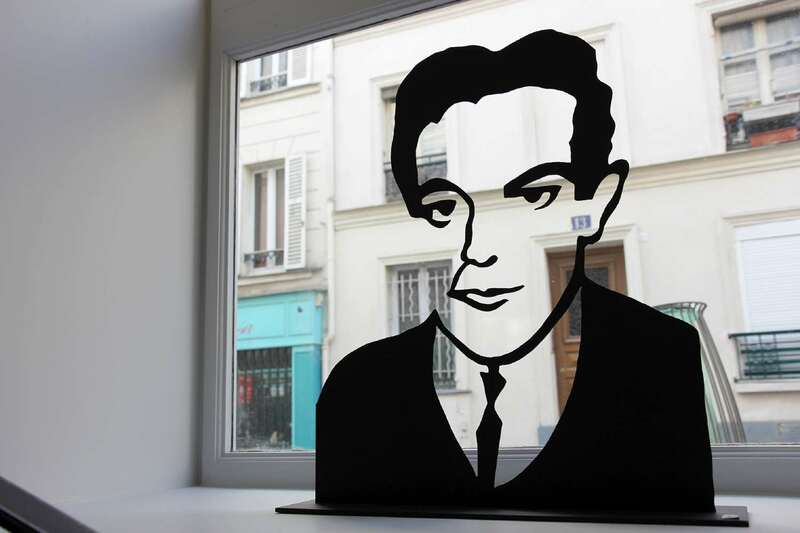 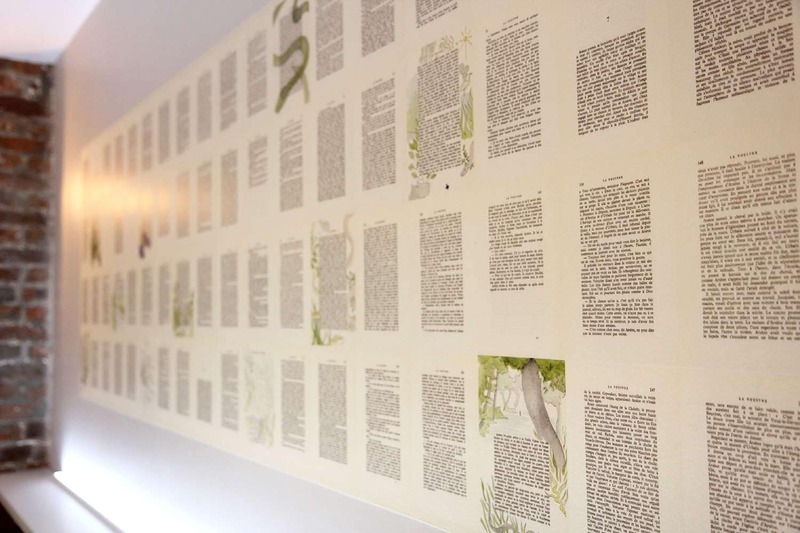 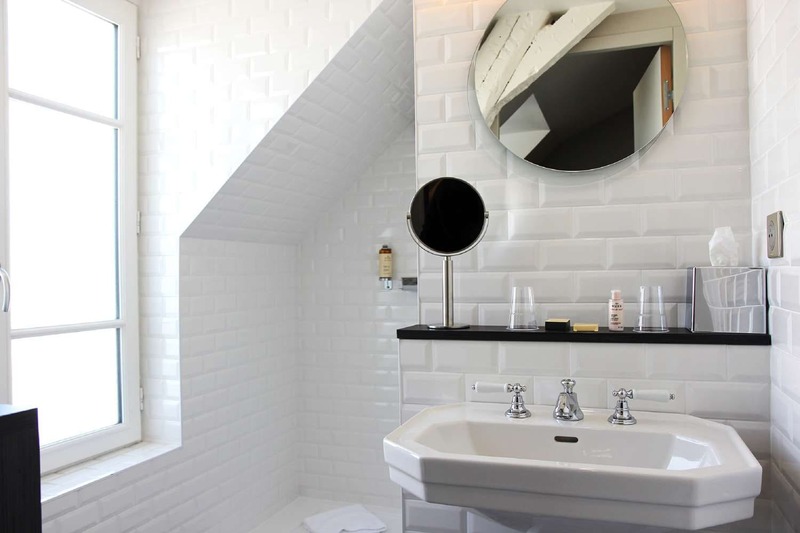 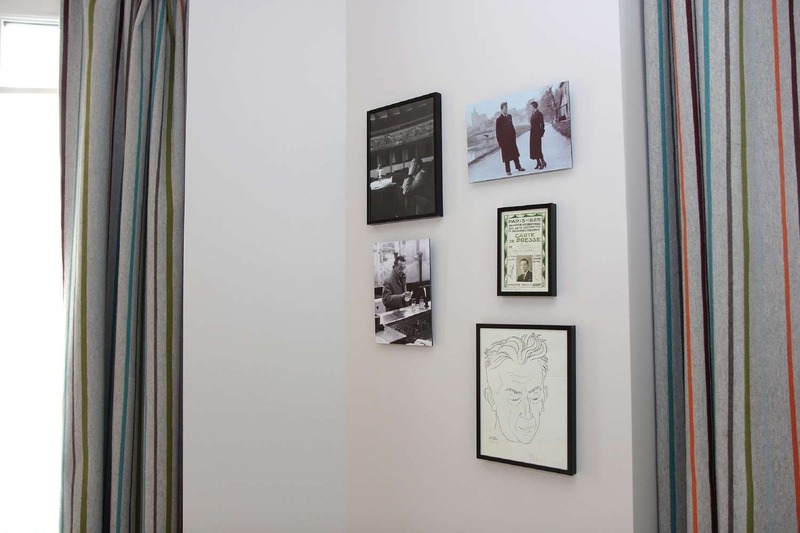 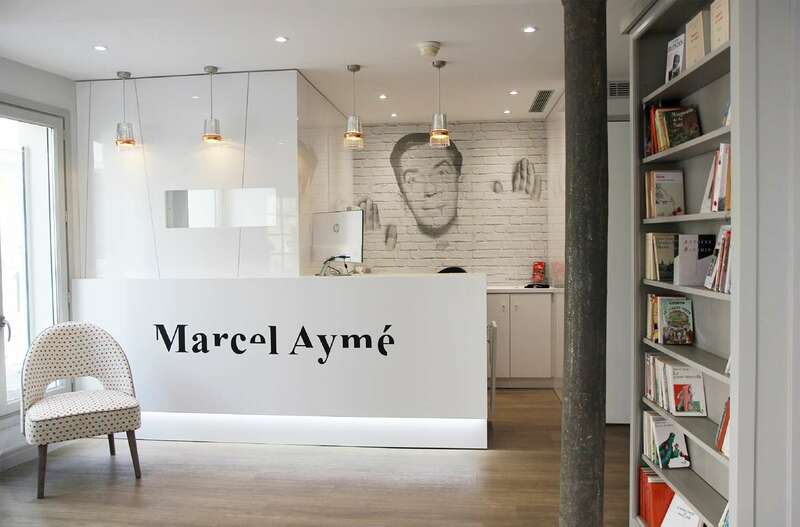 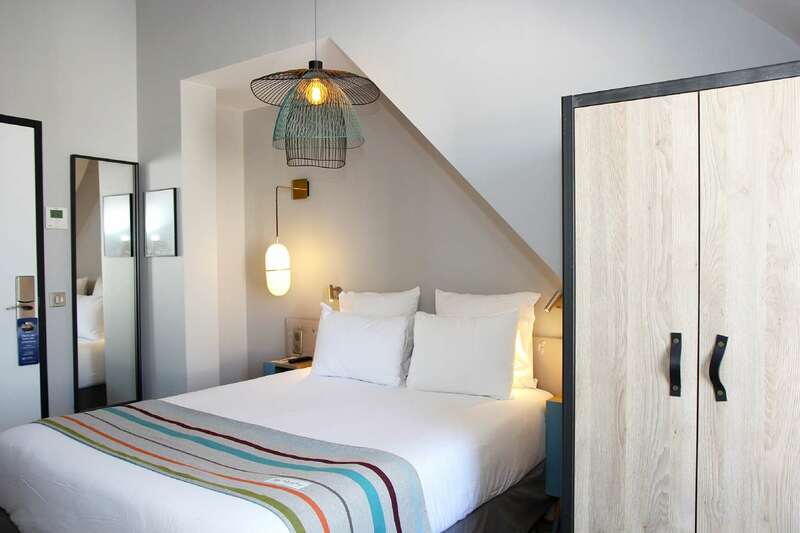 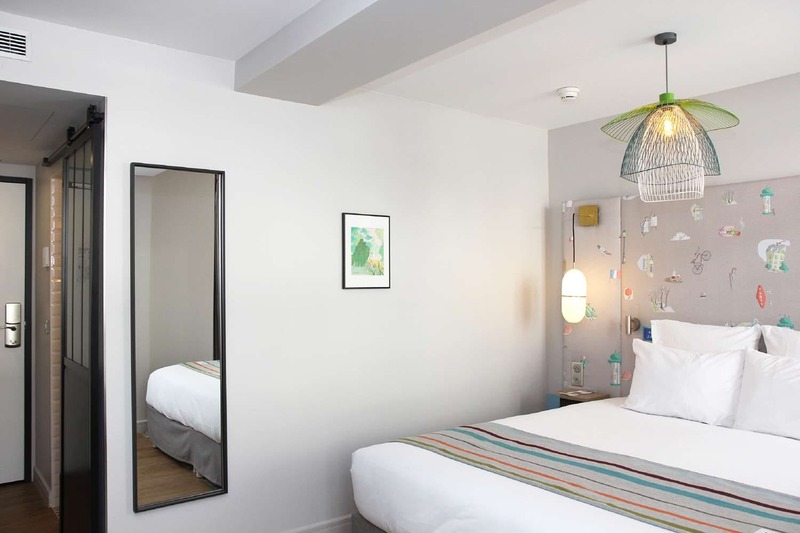 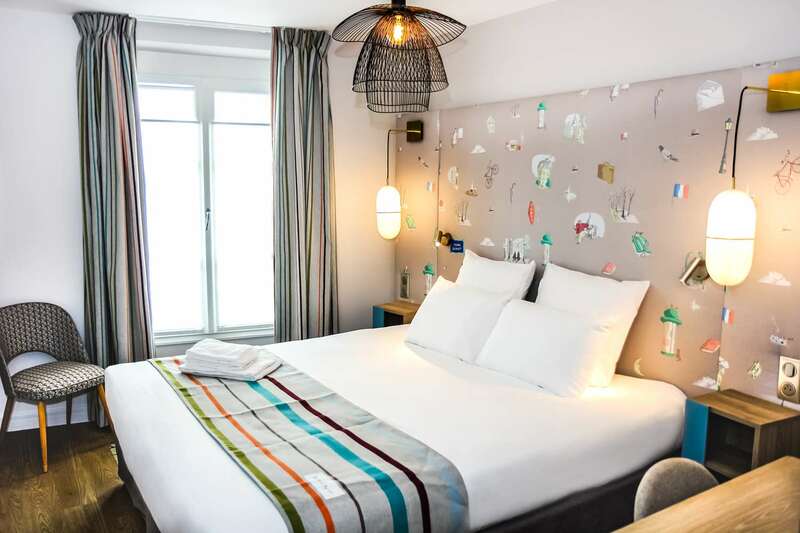 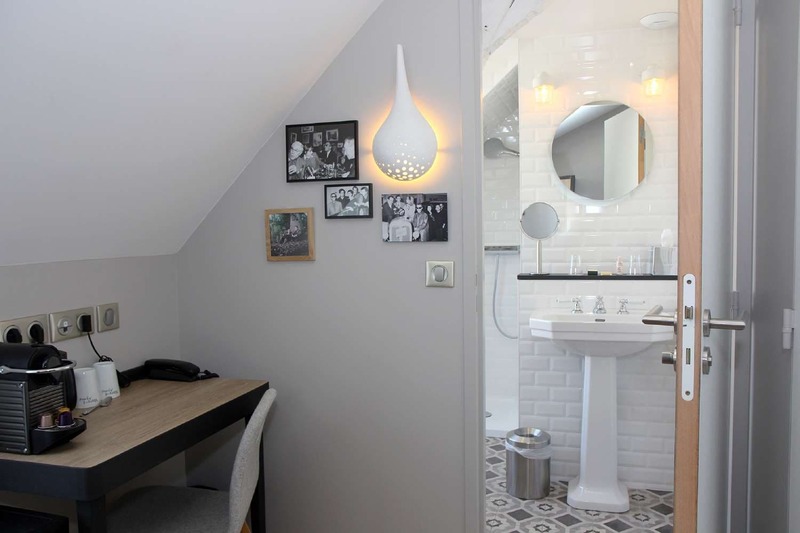 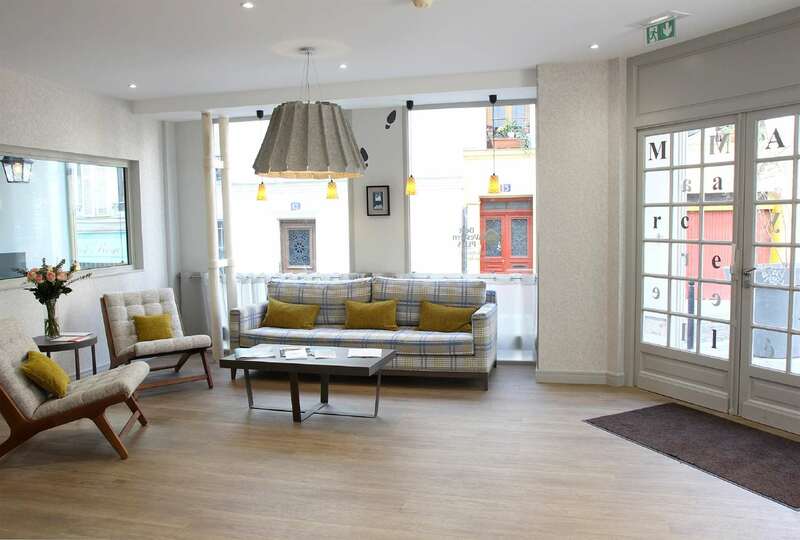 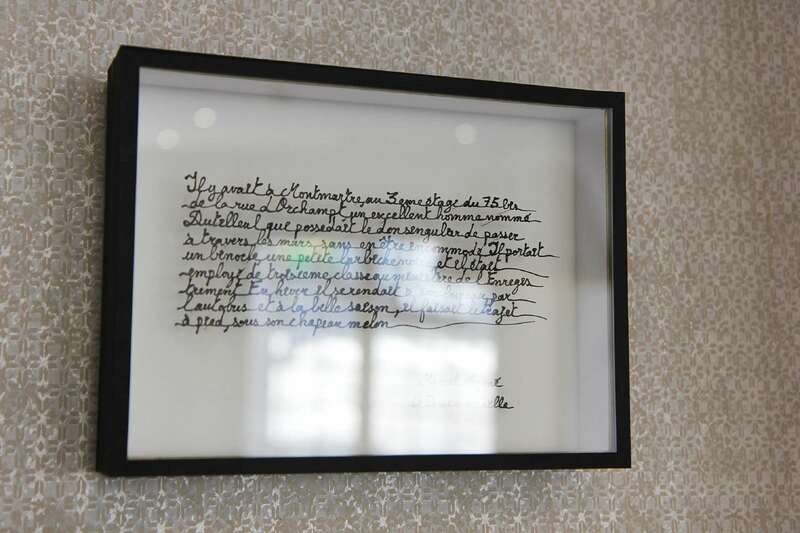 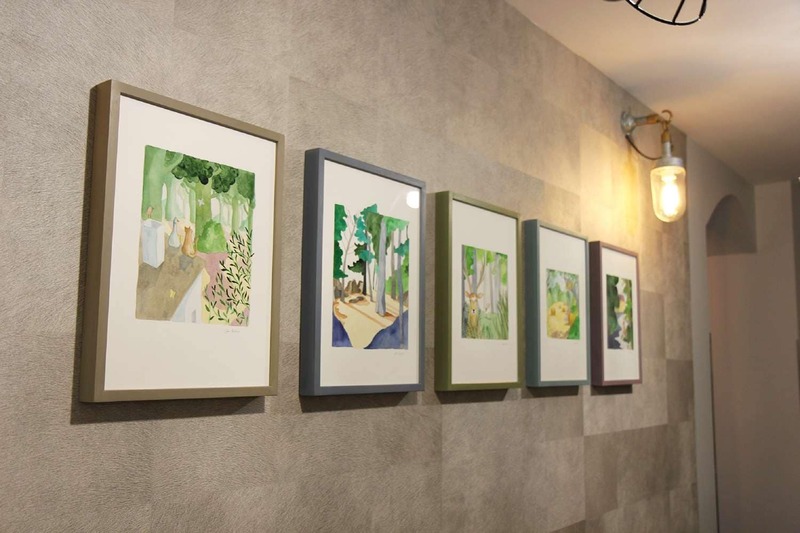 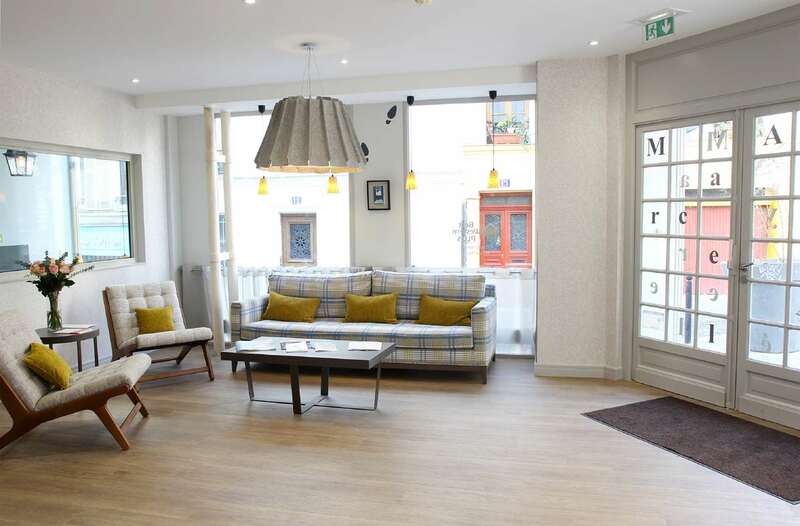 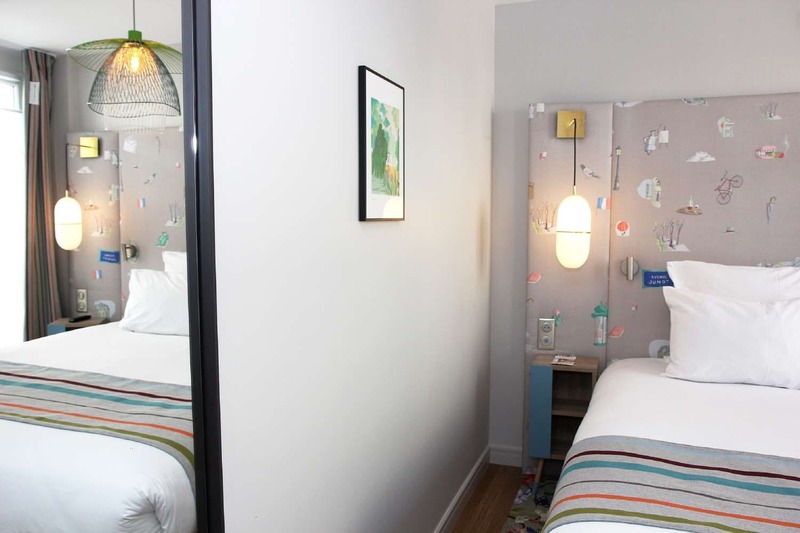 With its retro 1950s decor inspired by the novels of Marcel Ayme and its location in Montmartre, a stone's throw from the legendary Moulin de la Galette and Moulin Rouge, the Best Western Plus Hotel Literary Marcel Ayme invites you to stay in the heart of the district. 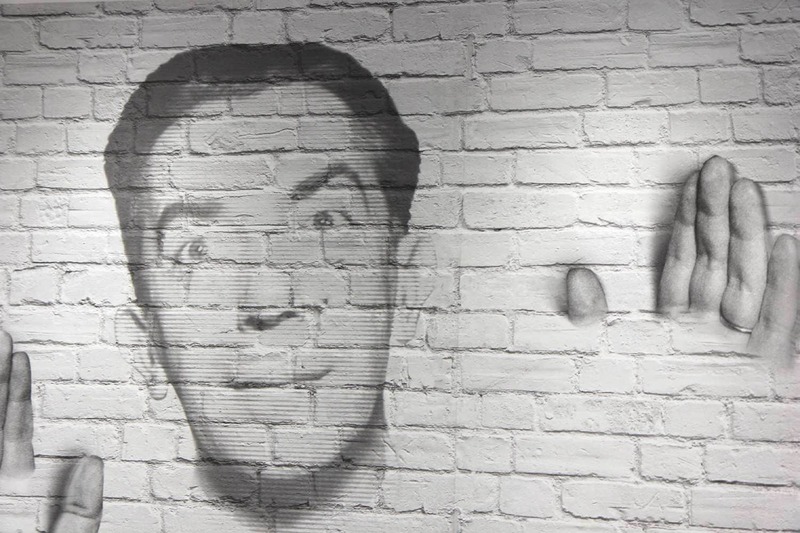 artists. 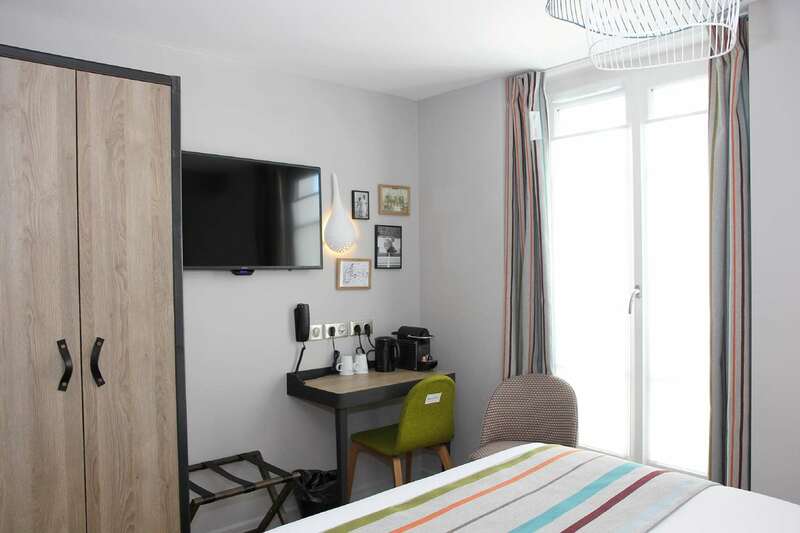 Benefiting from the proximity of the Redele car park and the Abbesses and Blanche metro stations, this 4 Star hotel is also served by bus lines 80, 95, 30 and 74. 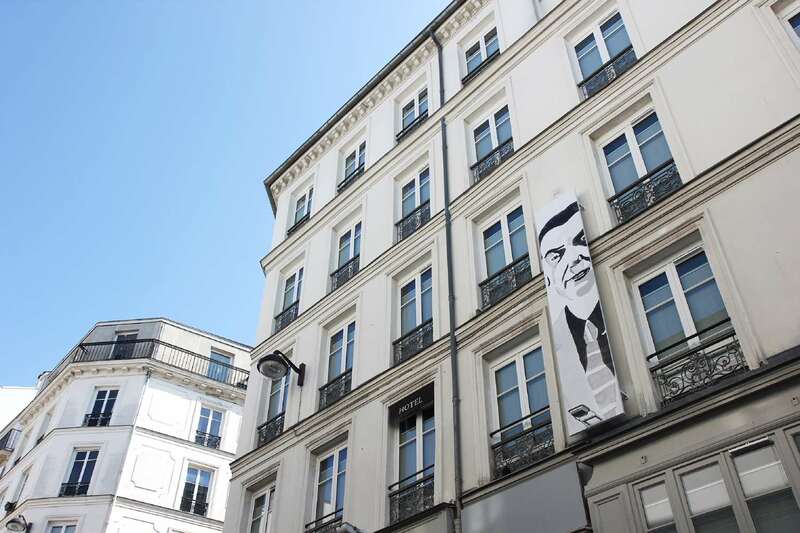 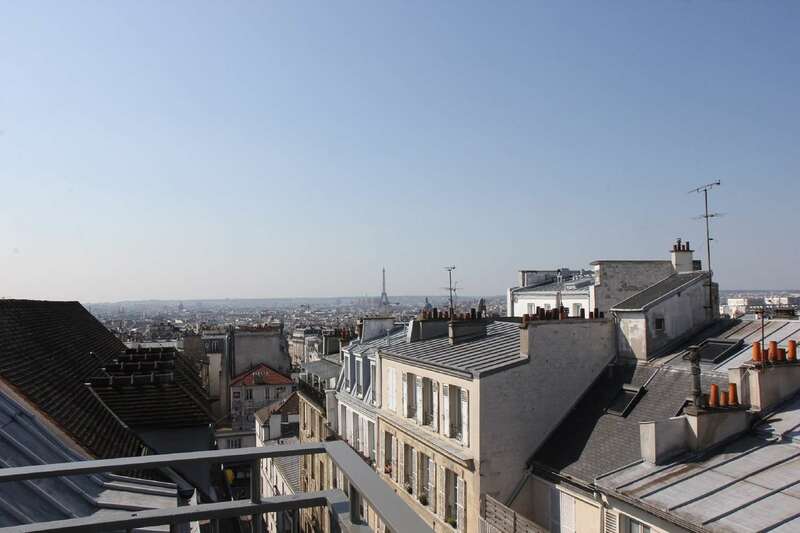 The Gare Saint-Lazare and the Nord train stations are 15 and 20 minutes away. 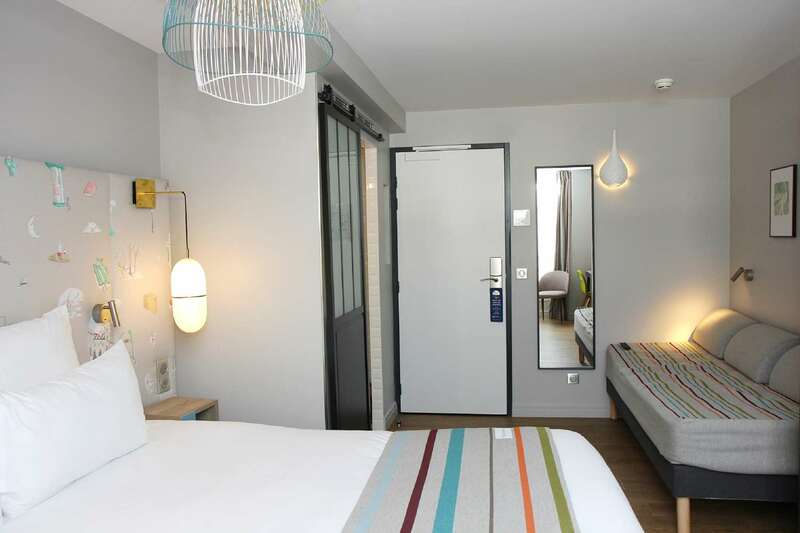 The airports of Orly and Roissy at 50 and 40 minutes. 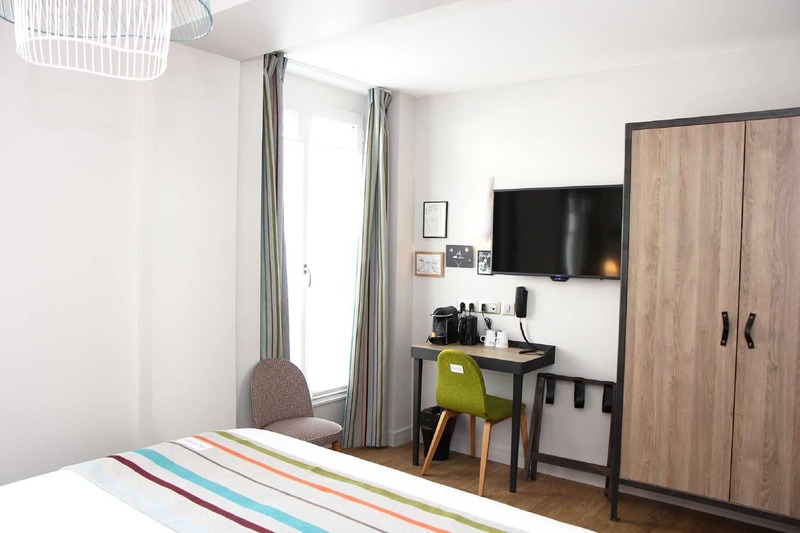 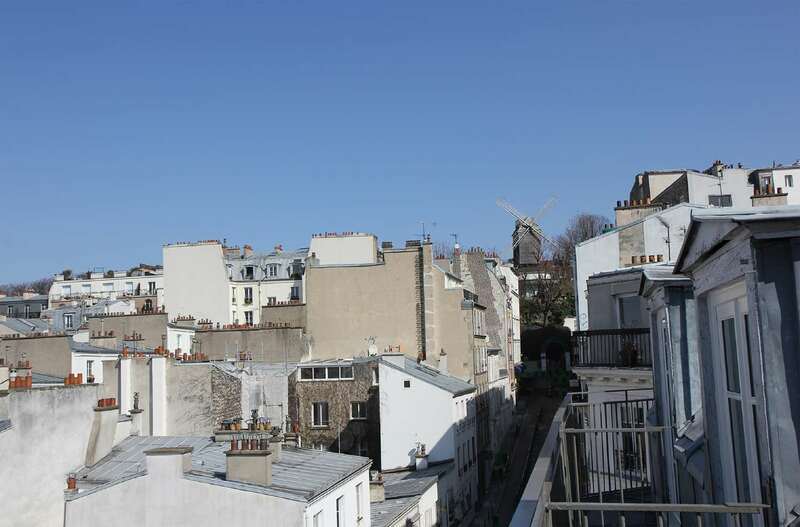 All Standard and Superior rooms, as well as the studio and apartment of our hotel near the Moulin Rouge have free high-speed Internet access and air conditioning. 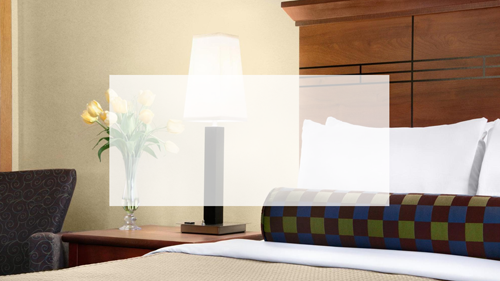 A flat-screen TV with satellite channels is included. 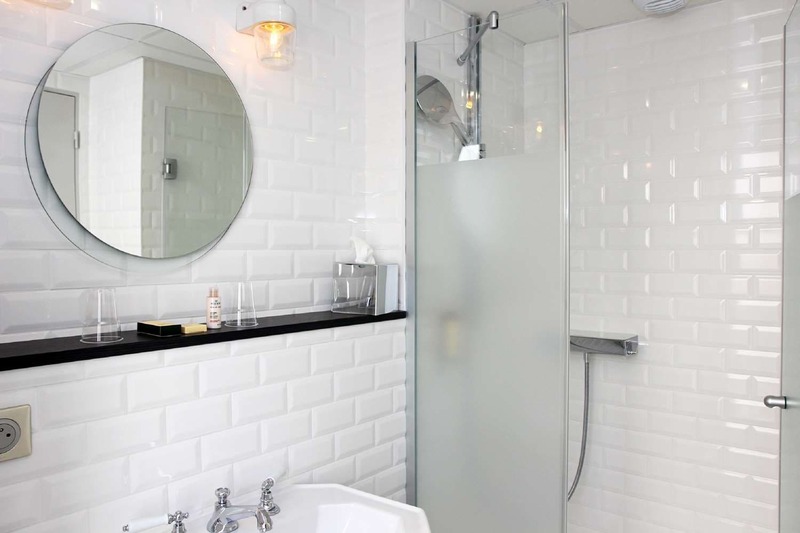 With a bath or shower, the private bathroom comes with a hairdryer and welcome products. 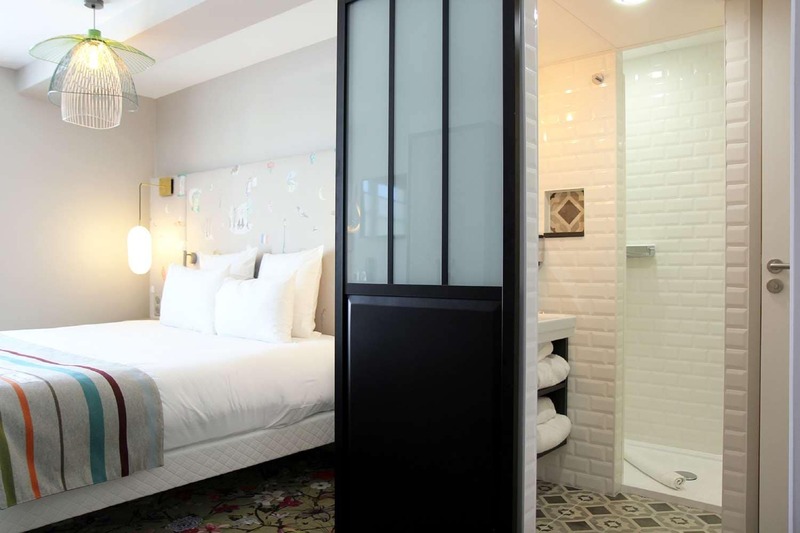 As quiet as comfortable, furnished with Queen Size or King Size beds depending on their category, some of our accommodations offer views of the Eiffel Tower. 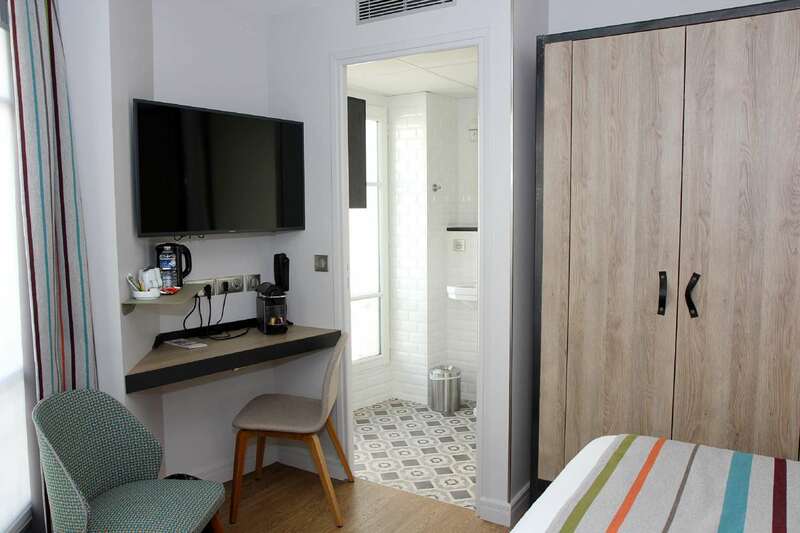 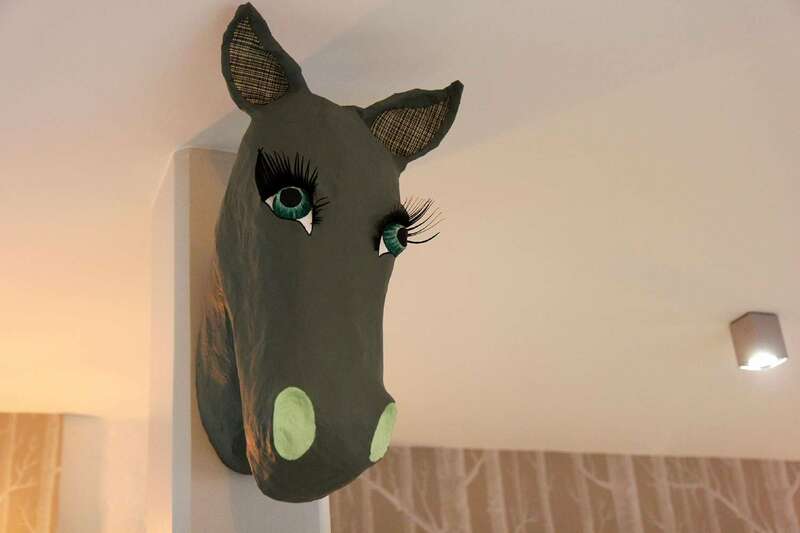 Interconnecting rooms are available for families or groups of friends. 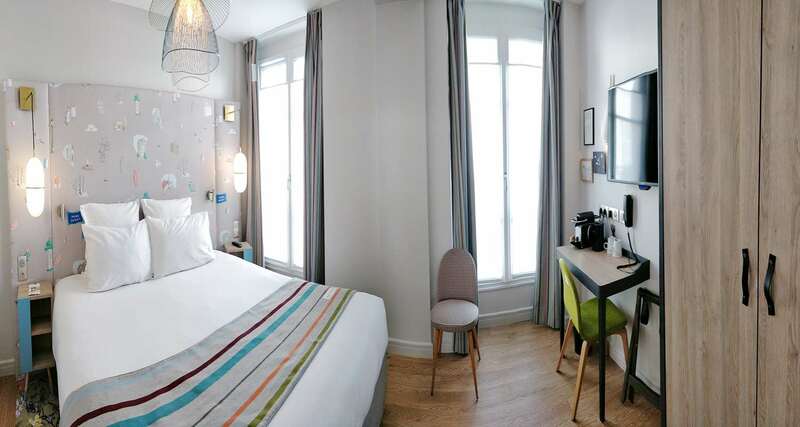 In our hotel near the Sacre-Coeur, each day begins with a generous breakfast, served as a buffet from 7am to 10.30am. 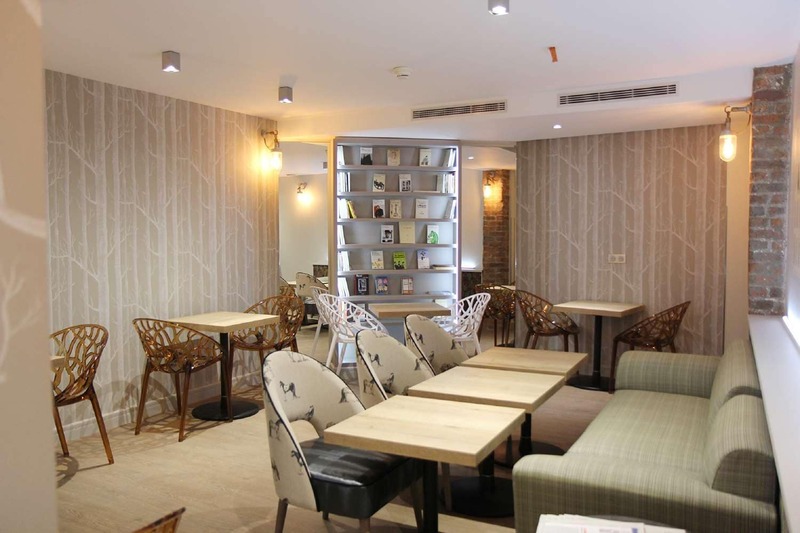 Energize with our savory dishes, scrambled eggs, cheese platters and cold cuts, and remember the vitamins with a fresh juice. 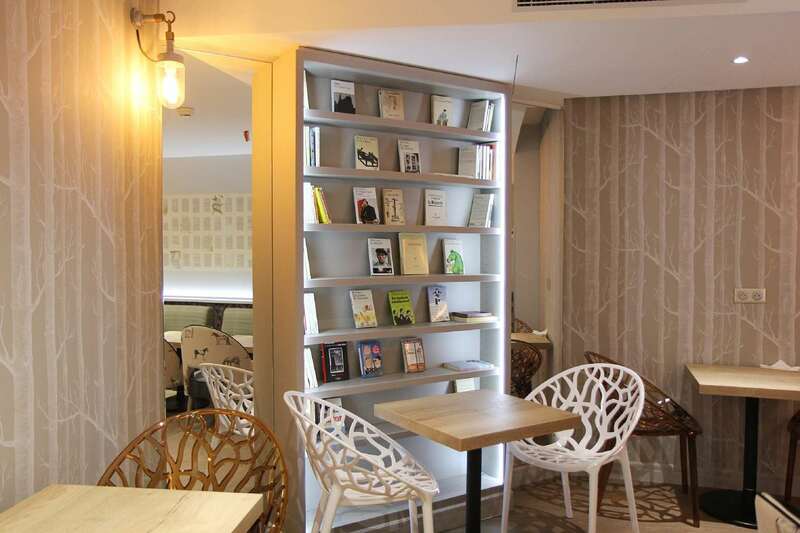 You can also enjoy pastries and cereals. 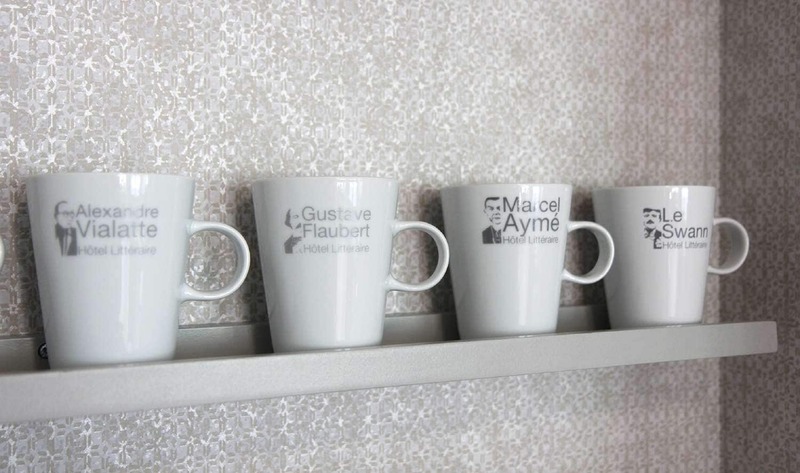 Hot drinks, tea, coffee and chocolate are at your disposal. 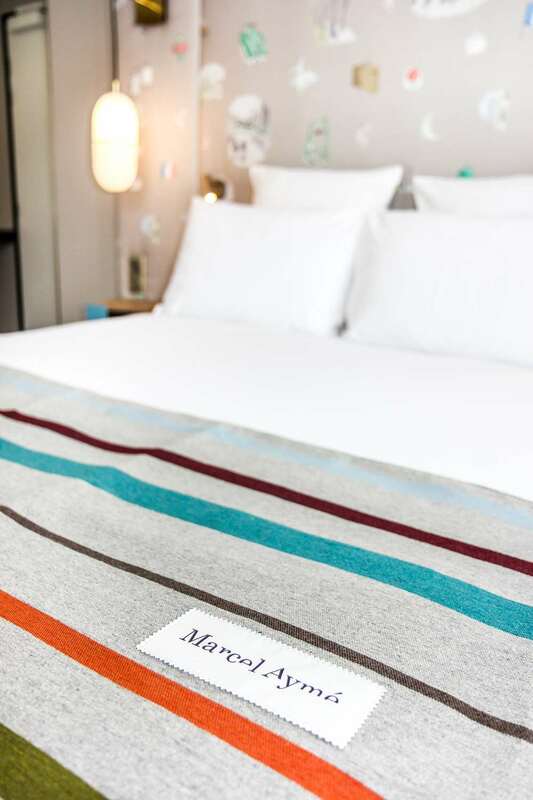 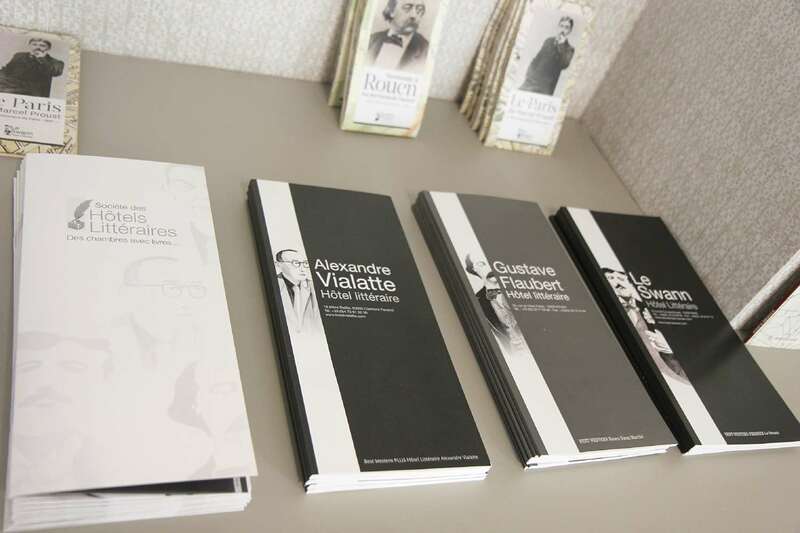 Our team speaking French, English, German, Spanish, Italian, Russian and Arabic welcomes you 24 hours a day, 7 days a week in our hotel near Saint-Lazare train station.